“It was an experience to come to L.A. and do a dark store. 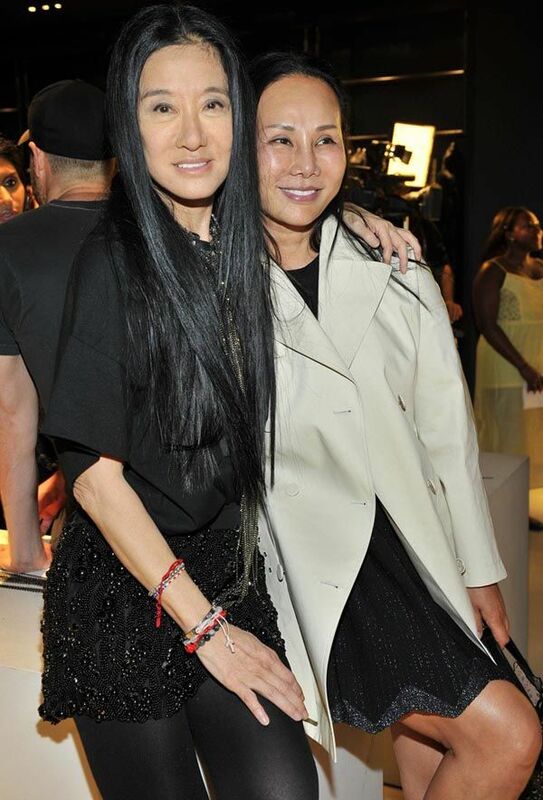 It’s a different sensation, which is what I wanted,” Vera Wang said on Wednesday night. She was idling in her new Rodeo Drive flagship, done in a moodier palette sooty grays and blacks than her previous store concepts, where a cocktail party to toast the store opening was unfurling. “Part of moving to Rodeo Drive [from her previous spot on Melrose Avenue] is it’s a more obvious profile and with that comes a certain responsibility not only for what we make but from a visual point of view,” the designer said. The steady stream of PYTs including Kaley Cuoco, Liberty Ross, Victoria Justice, Danielle Panabaker and Melissa Fumero came decked out in Wang’s dark and colorful ready-to-wear to match the store, though cohost Rosamund Pike had wedding dresses on her mind.